La lucha comenzó en Transilvania, Rumania, en un pequeño pueblo llamado Macea, la cuna del famoso y legendario Conde Drácula. En este libro usted leerá acerca de Alex, un hombre que servía a Dios pero que no conocía a Satanás y a sus demonios. Leerá también acerca de la señorita Cucuta, servidora del Diablo, que se convirtió en bruja y comenzó una lucha sin tregua contra la familia de Alex. Leerá acerca de cómo ella trató de entrar en la familia Cohan para destruirla. Se enterará de cómo Dios no lo permitió. A Causa de la señorita Cucuta, Floare, la esposa de Alex fue tratada durante muchos años en hospitales psiquiátricos tanto en Rumania como en los Estados Unidos y casi pierde su vida. Al final, esta es una historia de coraje y fe. El coraje y la fe fueron vencedores. Alex y su familia son el testimonio viviente de esto. Este libro fue escrito para enseñarle a todos cómo pueden luchar contra sus propios demonios y las brujas que siempre están al acecho. There have been untold millions of men who have been born, who have quietly lived their lives, and who have moved off the stage of time with little fanfare. God’s Holy word tells us about six men who lived lives much like anyone else, yet their lives were marked with distinction. God used these men to bless His people in the times in which they lived. And because He recorded the righteous ways in which He directed their lives, we today are blessed to be inspired to walk faithfully using God’s dealings with these men as our example. 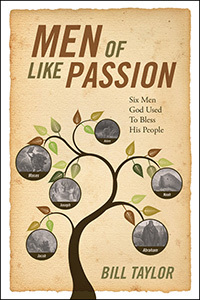 This book examines the Scriptural accounts of the lives of Adam, Noah, Abraham, Jacob, Joseph, and Moses and gives practical examples of how God is still using these men to bless His people. 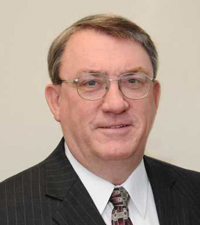 GH Eliason is first and foremost a follower of Jesus the Christ. He is farmer, construction worker and family man. This book provides solid answers about the rise of the last world religion. It documents its inception and growth. It also opens up the histories of the three monotheistic faiths, and shows the people of the Gospels in history. Showing who they were, their writings, and their lives documented outside the Gospels such as Lazarus who arguably lived after his resurrection until he was 120 years old and was one of the most famous people of his day. First presenting arguments against current movements to change the faith, the author offers an exploded view of the times leading up to, during, and after the lives of the Apostles and how far and fast the Gospel changed an entire world. The tumultuous timeframe when opened up will shock and amaze you. 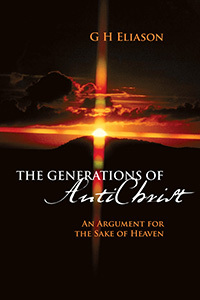 Detailing the inception, development, and growth of the religion of Antichrist is shown historically for over 500 years. This book answers such questions as how can a man “become a god” and where does he gain the knowledge to bring his own image to life? How does he gain the world, and why does it follow him. In history and then real-time, the developments in religion, society, technology, and government are shown that catalyze the rise and advent of the Lawless One. Irene Brodsky is a part-time educator from Brooklyn College NYC, author of poetry and children’s books. She lives with her husband in Brooklyn. 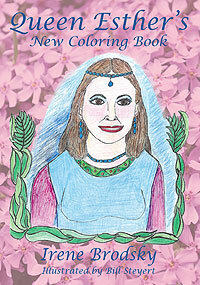 Queen Esther’s New Coloring Book is her 3rd published work. 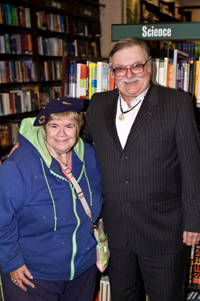 Bill Steyert is a veteran of the Vietnam war, worked for environmental groups in Chicago, lives with his wife, Carmela (a Jewish educator), in Forest Hills, N.Y. His artistic talent enhances her teaching of Hebrew Jewish history and traditions. Queen Esther’s New Coloring Book is his first published work. Children will enjoy this popular story from the bible (revised to be child-friendly). They will be very encouraged to color the life-like illustrations. A great idea for a creative afternoon of fun for all children, parents and grandparents, too! God called Abram out of Babylon to go on a journey to a place God would show him. Abram must step out in blind faith in God and His Word. Throughout Abram’s journey with God, He was shaping and forming Abraham into His image and likeness for the purpose God had for his life. Abram must walk his journey with God step by step. As Abram obeyed God and His Word, he was drawing closer and closer to God in a deep and abiding relationship. Eventually, God changed Abram’s name to Abraham because he had been transformed into a mature man of God who would soon have spiritual seed through Isaac. The life of Abram/Abraham is a picture of the spiritual life of those who follow God through Abraham’s seed Jesus. God called Abraham out of wicked Babylon. He still calls people out of wickedness symbolized by Babylon to follow His faithful and obedient Son Jesus into a new spiritual life. God has a plan and purpose for each of our lives but He must shape and form us for the call. God will walk us step by step through faith and obedience to His Word into the fullness of the blessing that Christ’s sacrifice accomplished. God works in fullness. God wants to be fully known and wants to extend the fullness of the blessing that Christ’s sacrifice on the cross accomplished for all — whether Jew or Gentile. Abraham’s journey with God and His walk of faith and obedience beautifully illustrates God’s desire to bless all those who love His Son Jesus Christ. Abraham obeyed God willingly out of love, not out of command or demand. God spoke to Abraham and then left the choice of obedience up to him. When Abraham willingly obeyed God’s Word, he was blessed. Those who love and follow Jesus are to also obey His Word willingly out of love. The New Covenant extends from the Abrahamic Covenant. The Bible says that “the gospel was announced in advance to Abraham.” Gal. 3:8 This book is written to show that Truth.